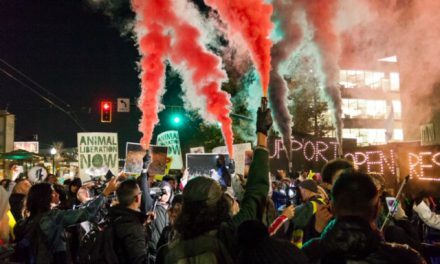 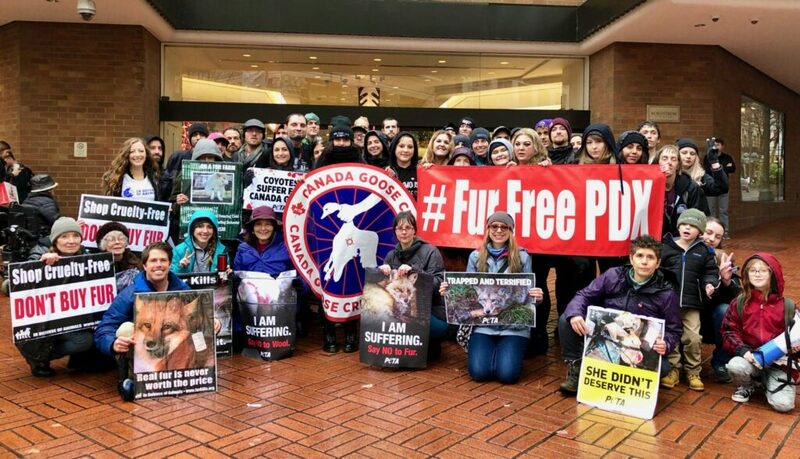 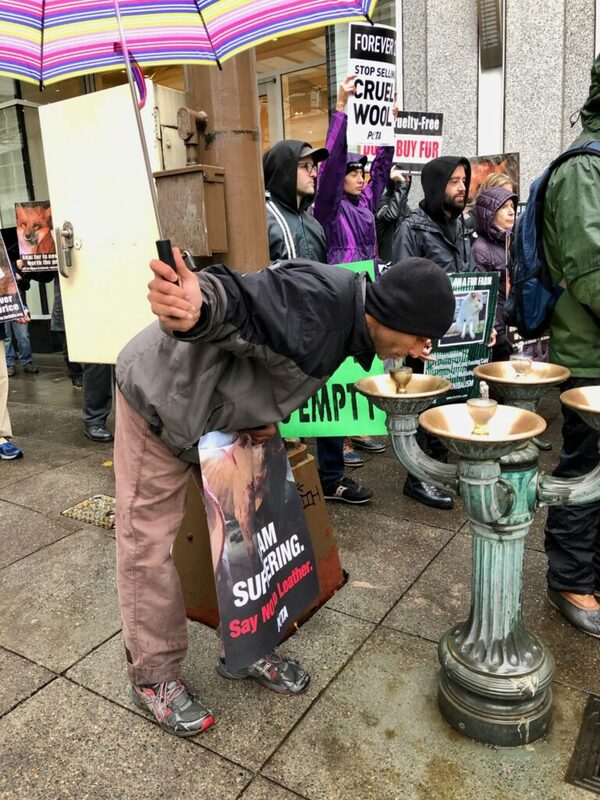 #JaneUnChained is #LIVE at #FurCrueltyFreeFriday : A non-violent, love-based protest & march throughout downtown #PortlandOregon. 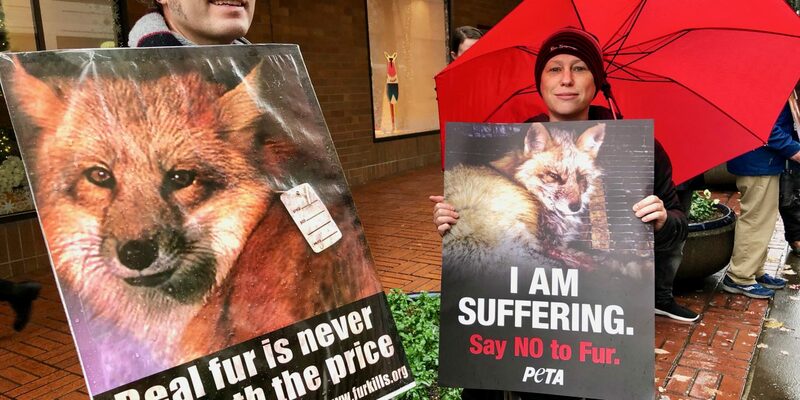 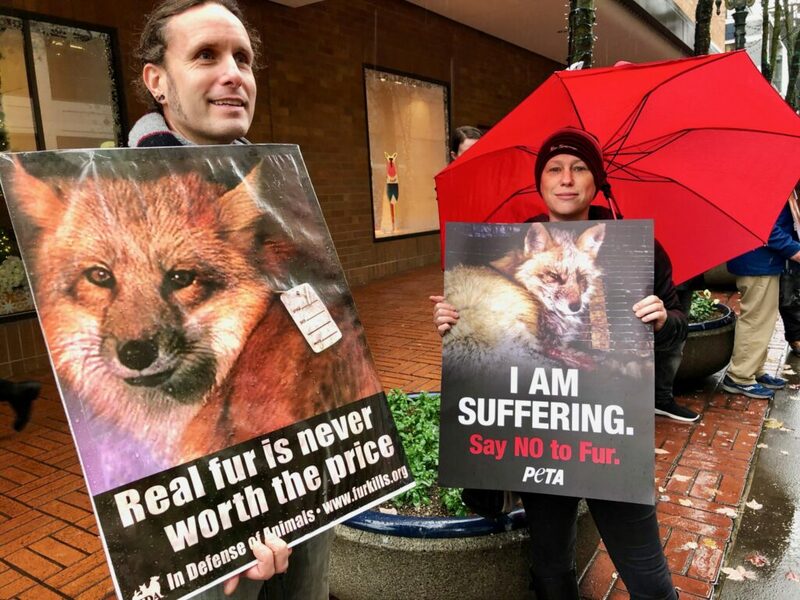 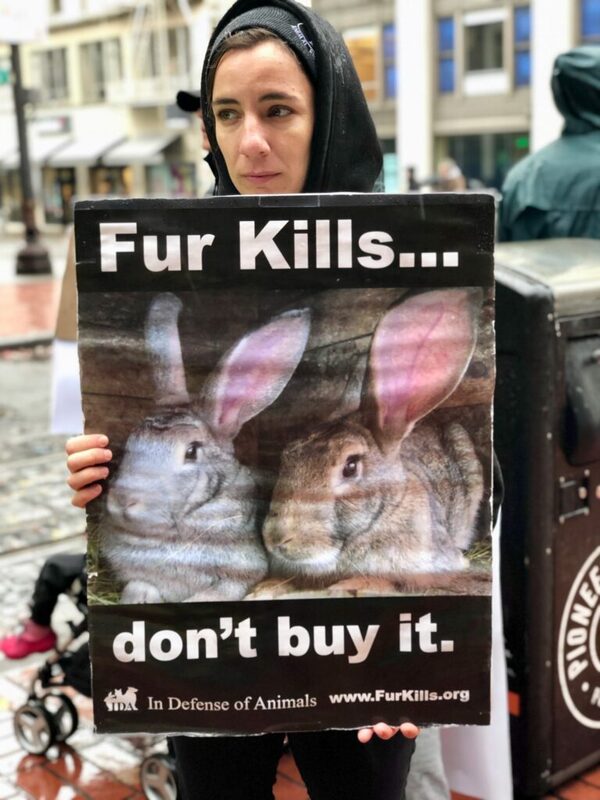 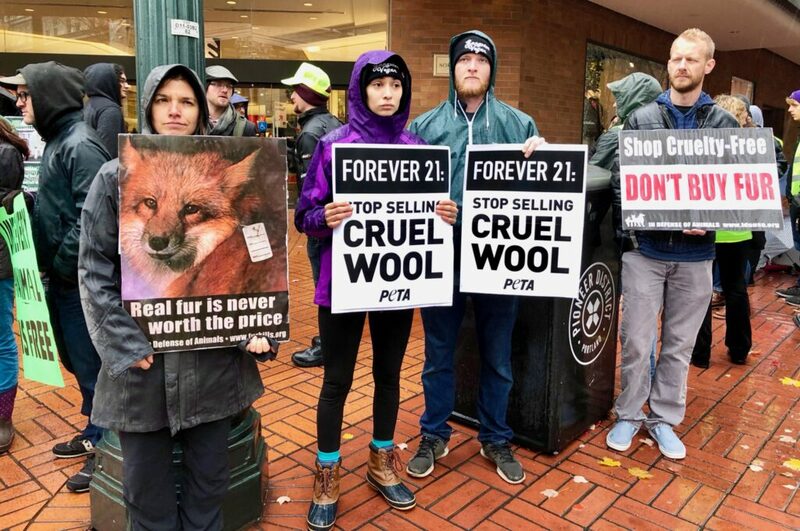 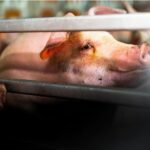 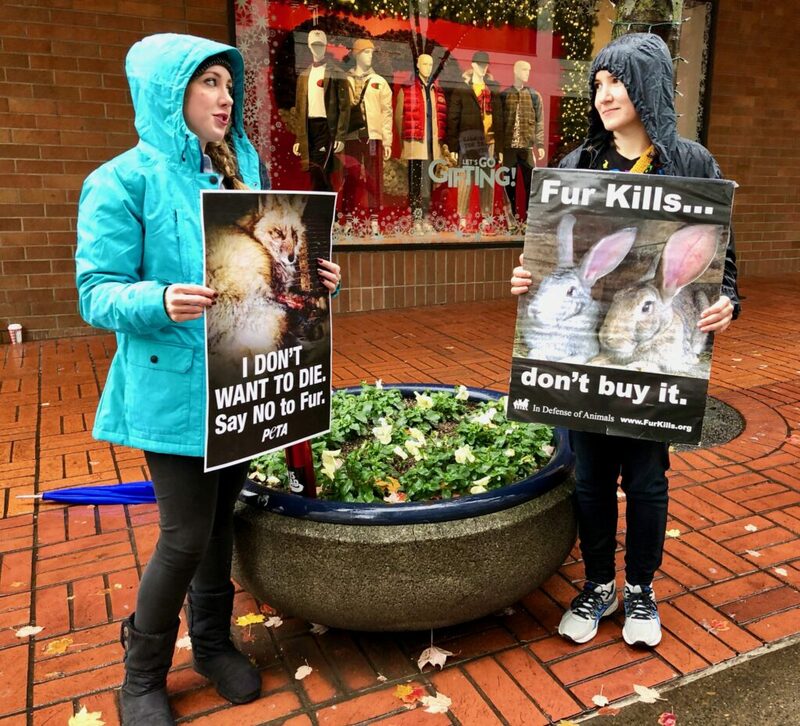 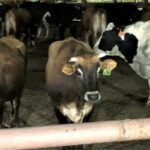 Activists are speaking out for all animals killed for their skins & feathers which include all fur, wool, leather, down, angora, silk, alpaca, cashmere, suede and mohair. 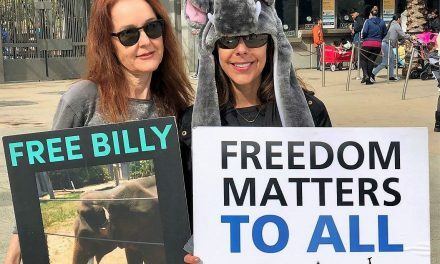 Protest and march led by M Lee Beebe.Speakers included Fleur Dawes of In Defense of Animals, Dani Rukin, The Daring Vegan, Marley Delgado of PETA, and Chelsea Davis with Out To Pasture! 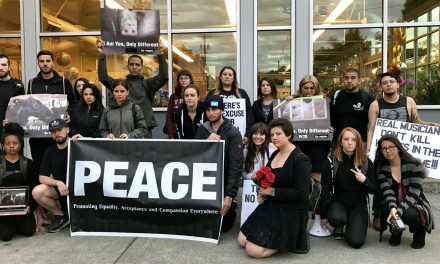 Any store mentioned by the protesters is invited on any time to respond! 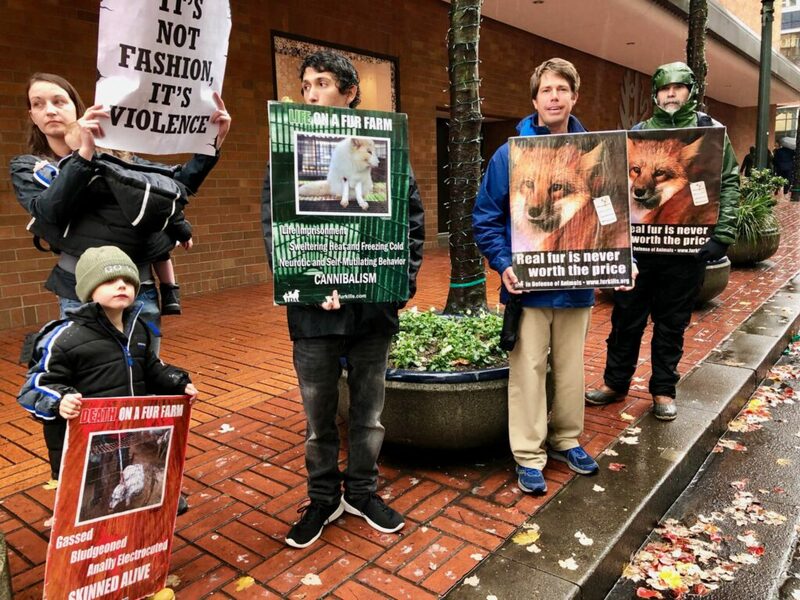 #MakeFurHistory #FurFreeFriday #FurFreePDX Contributor @Renée Marinkovich #ReneeMarinkovich reports. NextAppetizing Almond Crusted Tofu Nuggets!